Gol-darnit, I still have nothing hilarious yet profound to blog about. All my words and pictures are going other places, and I don’t want my blog to be a repeat of all that. I don’t want to be that person who tells you the same story over and over again while you politely don’t mention it. I’ll try to keep at least 50% of this stuff new for you. This week’s picture book is The Wild Hare, about a wild hare and tame hare that fall in love, then out of love, then back in love, and all in 265 words. As much grief as my novel can cause me, writing picture books is like playing in a ball pit. To be fair to the novel, some days it gives me pure joy, too, and the joy from writing the novel is one that launches itself deep into my heart. 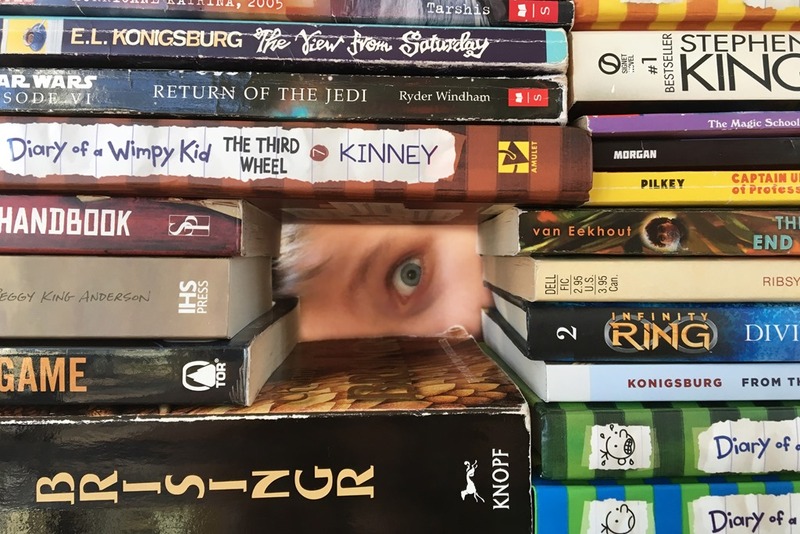 I give it a bad rap because writing a 100,000 word novel is harder, so much harder, than writing a 250 word picture book, but they both fulfill some part of me. They must, or I would have stopped months ago and started binge watching nature shows on Netflix. As for the kids, yep, I still have ‘em. Here is the defining moment of each kid from the past week. 1. 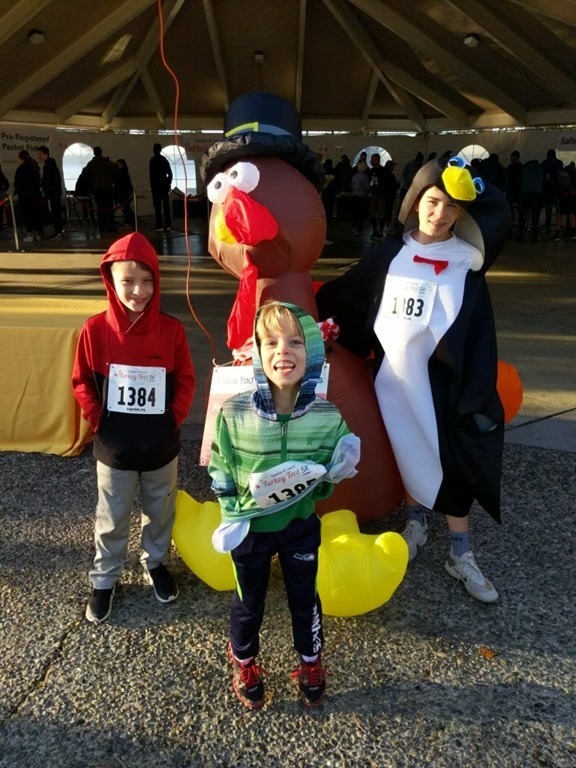 Vincenzo: Wearing a ridiculous penguin costume to run/waddle the Turkey Trot and insisting he was a fancy duck, not a penguin. 3. Rocco deciding it was up to him to make me Instagram famous and proceeding to set up various poses of himself with books for me to post to Instagram. Like this one. Yes, folks, this is the picture that is going to break the Internet. 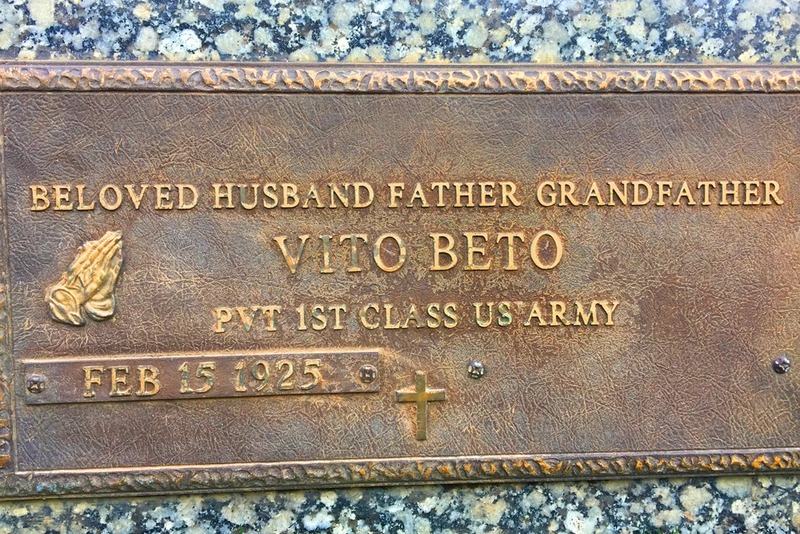 Kevin’s grandpa, the steady and solid Vito Beto, died peacefully at the end of October, age 93. 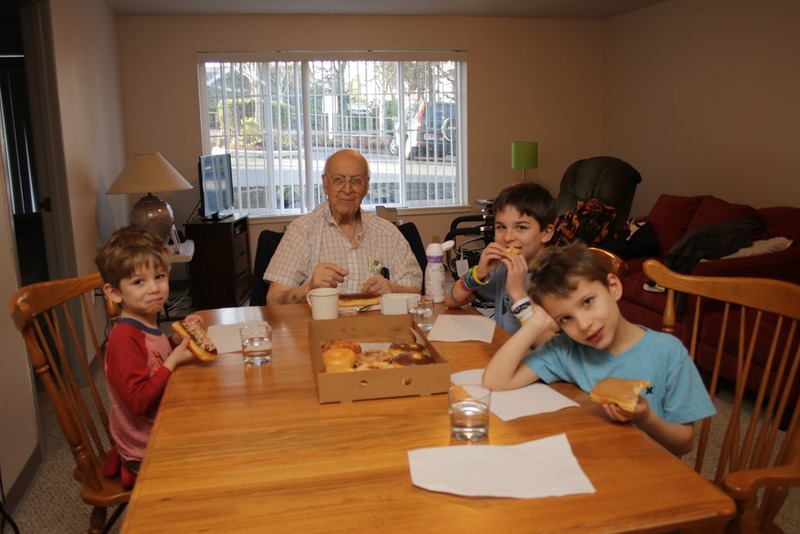 Every Sunday we brought Grandpa donuts. He’d choose the same one every time–a chocolate long john. He’d ask the same questions every Sunday. “How are your parents doing?” “Any new neighbors?” “The boys out of school yet?” He’d ask these questions over and over during donut hour and we’d answer them the same way each time. And each time he’d be pleased with the answer. The questions, they made everything feel safe and comfortable. The rest of the world might be moving and changing too fast, but when you were with Great Grandpa, nothing changed. It felt like nothing needed to. But then, every once in a while, you’d say something like, “Vincenzo is in a play,” and Grandpa would light up and say, “I was in a play once.” What? This is something new! “I played a mouse,” he’d add. We’d want to know more. We’d ask him questions. 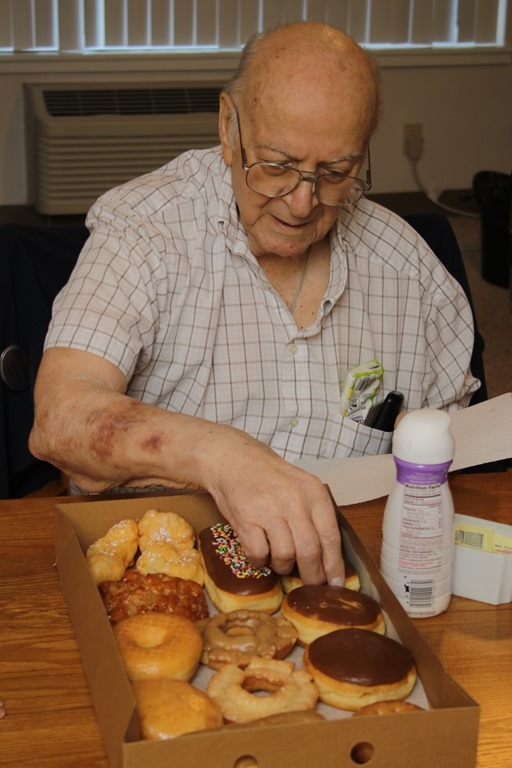 He’d take a bite of his chocolate long john and say, “How are your parents doing?” We’d squirrel away the little piece of information and add it to the lore of Grandpa. The stories of his long-ago past didn’t seem to match up with the quiet man sitting with us. Like how he grew up in extreme poverty during the depression, surviving by collecting bits of coal or old bricks to sell. Or how manned an anti-aircraft gun in WWII. 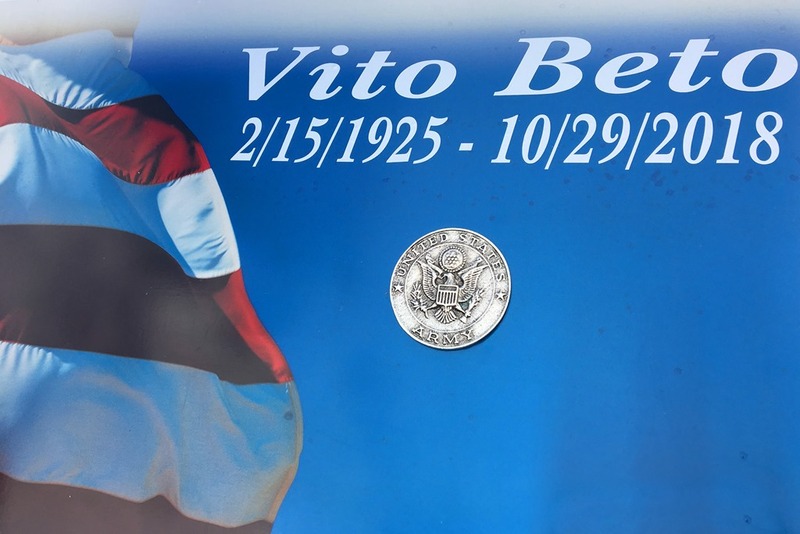 And how he fell in love with a girl before he joined the service, and he’d send her Valentine cards that came in boxes, signed by Vito, a curlicue hanging from the bottom of his V. Grandpa wrote her love letters from overseas. “My dear, darling Violet,” they’d begin. “Do you still want to marry me?” Of course, she did, and lucky for all whose lives were given or made golden by that marriage. When Grandma died a few years back, Grandpa did not want to go on. He wanted to go to sleep and not wake up, but he kept waking up anyway. It felt unfair. 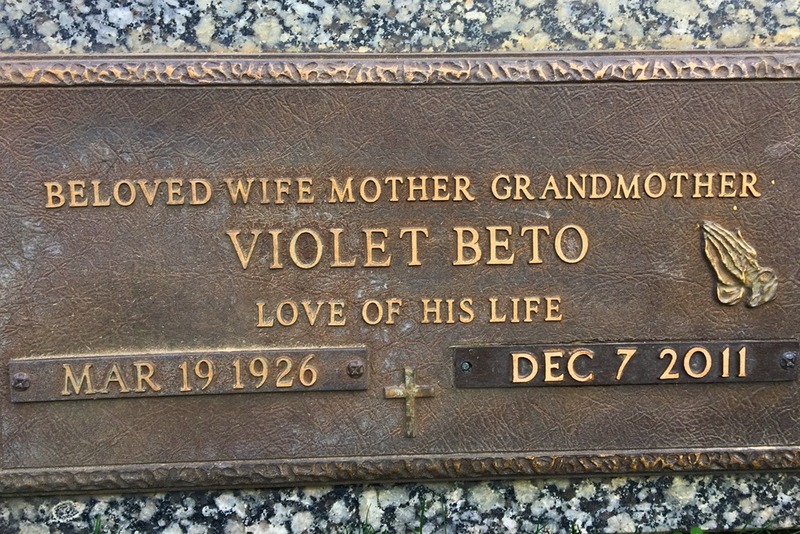 Grandma was the love and purpose of his life. In his last weeks, Grandpa sometimes saw her. He could hear singing, and he said they were singing his name. Of course, it’s hard to say goodbye. It’s hard knowing there is someone else in Grandpa’s room at “the club,” as he called the nursing home. It is hard when Sunday morning comes and goes without our hour sitting in his 100-degree room, answering the same questions over and over again, comforted by the predictability of it all. But it’s a good thing, because Grandpa is finally where he wanted to be. After all these years, after all those minced ham sandwiches and Sunday mornings and chocolate long johns, Grandpa was finally ready for a change. Together again. And together is where they are happiest.